Danny W. Queen was a 13-year military veteran, a father and a full-time employee with promotion potential at a local company. He had no criminal history. But one summer night in 2017, at a small-town bar, he shot a man and tried to shoot two others. 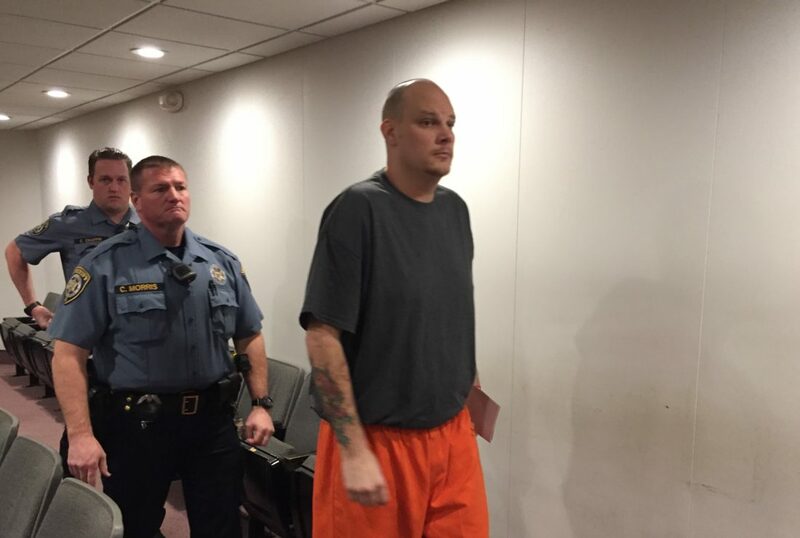 A judge is now weighing that situation — along with searing statements from the slain man’s relatives — before deciding how to sentence Queen, 37, of Eudora. The defense has asked for probation while the prosecutor wants him to serve more than two decades in prison. Douglas County District Court Judge Peggy Kittel said Queen’s background made his case “unusual” compared with many others convicted of violent crimes. After hearing arguments Monday, Kittel said that instead of sentencing Queen that day she would take the matter under advisement and announce her decision on Jan. 4. She’s also considering Queen’s request for a new trial. The father of victim Bo M. Hopson, in a letter read by prosecutors, described his family’s ongoing pain and called Queen a “coward” who had shown no accountability or remorse. Queen has been awaiting sentencing since Aug. 1, when a jury convicted him of second-degree murder in the shooting death of Hopson, 32, of Eudora. Hopson was shot shortly after 1 a.m. June 24, 2017, outside D-Dubs Bar and Grill, 10 W. Ninth St. in Eudora. It was the night of Eudora’s annual CPA Picnic, and Hopson had been working security. Jurors also found Queen guilty of attempted second-degree murder for trying to kill bar patron Clark Orth and guilty of attempted voluntary manslaughter for trying to kill patron Dustin Crowe. After shooting Hopson, Queen pointed his gun and pulled the trigger at those two men, but the gun jammed. Queen had been drinking heavily and got kicked out of the bar after making offensive comments to women inside. On the way out, he scuffled with other bar patrons before being lifted onto a trailer in the parking lot to calm down. Hopson stood nearby and offered to help Queen find a ride home. Instead of accepting the offer, Queen, after lying on the trailer for several minutes, rose up, pulled a handgun from his pocket and shot Hopson twice. Hopson was expected to make it, but he died the next day following complications after surgery at the University of Kansas hospital in Kansas City, Kan. Taking the stand at his own trial, Queen said he felt frightened after being attacked by others at the bar, where he didn’t know anyone else. Queen claimed he heard Hopson threaten him, so he fired in self-defense. Queen’s appointed attorneys, Dakota Loomis and Joshua Seiden, argued that he does not pose a threat to the public and should be granted probation, or at least have sentences for his three convictions run at the same time instead of back to back. Loomis said Monday that, in addition to his background, Queen had behaved appropriately and respectfully since his arrest. He said Queen did not have a propensity for violence but was responding to aggression by others at the bar. “The divide between the charges against Mr. Queen and the person that I’ve come to know as his defense counsel is the biggest divide I’ve seen as an attorney,” Loomis said. Regarding Queen’s request for a new trial, Loomis argued that jurors should have been given the option to convict Queen of several lesser offenses that Kittel did not allow at the time. 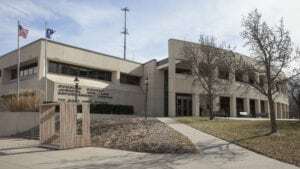 He also argued that the defense should have been allowed to present testimony from a nurse to help explain to jurors how to interpret Hopson’s hospital records. Queen did not make a statement at his sentencing hearing. Loomis said he had advised him not to because of the nature of Queen’s pending appeal. 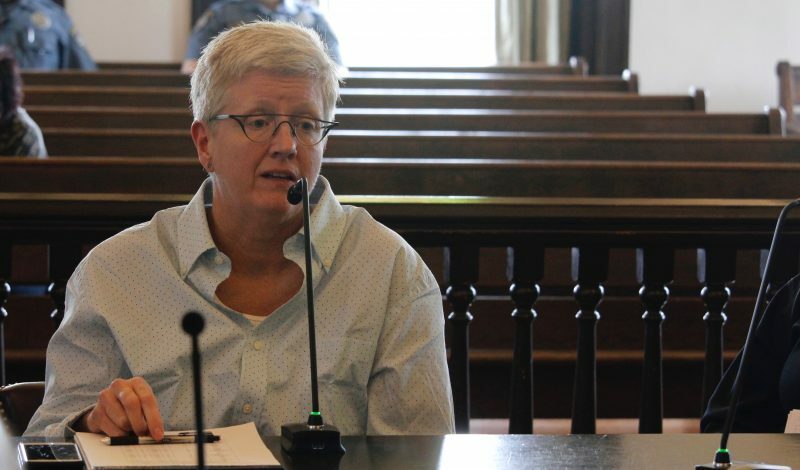 Emphasizing the devastating effect of Queen’s actions on victims, prosecutor Amy McGowan said Queen deserved the maximum sentence allowed under state guidelines. McGowan asked for a prison sentence of 260 months, or almost 22 years. She said Queen should serve separate — not overlapping — sentences for each of his three victims and that probation simply wasn’t appropriate for a murder conviction. McGowan said that Queen’s actions proved he is a threat to the public. “The defendant is now a convicted murderer,” McGowan said. McGowan invited Crowe and Orth to talk about how the event affected them, even though both escaped being shot. Both men said knowing the outcome could have been different weighed heavily on them, particularly Orth. McGowan herself became emotional when recounting that Hopson’s father was in the hospital room while medical personnel tried — at length — to revive his son. Scott Hopson had to make the decision to cease those efforts, McGowan said. Bo Hopson’s sister, Kasi Stevens, also witnessed the failed revival efforts. Stevens’ statement emphasized choices — of all involved. She said her brother made a choice to try to help Queen, someone he didn’t even know. Before he died, Hopson said he was glad that he took the bullets instead of someone else. Stevens said Queen made a “senseless” choice to go to the bar with a fully loaded gun in his pocket, with tragic results. “He deserves to live with his choices, knowing he will never be forgiven,” Stevens said. Stevens then asked the judge to “make the choice that the victim’s family deserves,” in handing Queen the maximum sentence. Stevens said grappling with the death of her only sibling had caused her to retreat from loved ones and even from her church.